When teaching difficult, controversial subjects, there are two ways to present an issue. The first way is to teach the Teacher’s opinion, pointing out the faults of the other sides while revealing the strengths of the Teacher’s view. The other way is to present the shines and dents in all sides, then allow the students to decide for themselves. When talking about the Bible, the latter approach is a difficult one to take. Yet, that is how Nichols and Brandt decided to present their book on the Bible. 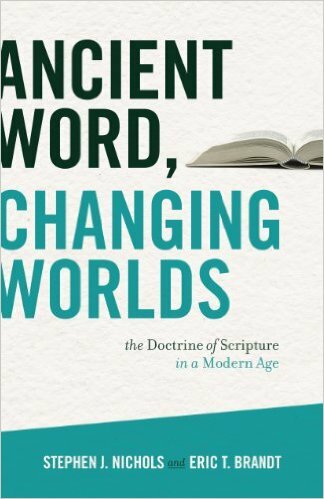 Ancient Word, Changing Worlds covers three difficult topics concerning the Bible: Inspiration, Inerrancy, and Interpretation. Each topic is split into two chapters. The first chapter covers how scholars viewed that topic, from the 19th century until now. In the chapter on Inspiration, the book tells of how some theologians considered the Bible to be wholly and word-for-word inspired, while others considered only the ideas within it inspired. The book presents the case from both sides, without every firmly landing on one side or the other. I really appreciated this tact, because it considers the audience intelligent enough to face the evidence and decide for themselves. The second chapter of each topic is slightly different, but this was the highlight of the book for me. The authors gathered together snippets from various authors and allowed the Theologians and Scholars to speak for themselves. Indeed, the second chapter on each topic is titled “In Their Own Words”. The ‘characters’ which had been mentioned in the previous chapter, presented through the lens of Nichols and Brandt, are now allowed to speak for themselves in passages that are short, but thick with ideas. This was such a delight for me, as I after I had read the history of how views on inspiration or inerrancy were presented throughout centuries, I could then read the dialogues themselves. In between each quote, Nichols and Brandt give a short rundown of who the speaker is and in what atmosphere their writing took place, but otherwise it is only quotations from historical figures. The only issue I had with this book is related to what I stated before: the nonpartisan approach of the authors. 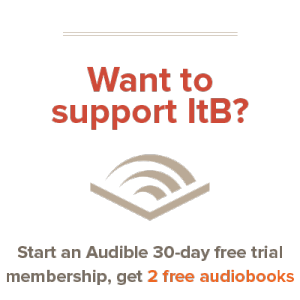 For the chapter on the history of Inerrancy, the authors deviate from their refusal to take sides and land firmly in the Inerrant Camp. That is not necessarily a bad thing, but the shift from impartial to preachy left a bad taste in my mouth. Other than that, this book is absolutely wonderful. As may be obvious by now, this book is not a deep theological book on the proper understanding of Inspiration, Inerrancy, and Inspiration. Rather, it is a view of how Christians have wrestled with these questions from the 1800s until now. As such, it is a wonderful resource for someone seeking to learn more about any of the topics included within it, and it provides sources if one wishes to find a more theologically heavy book.